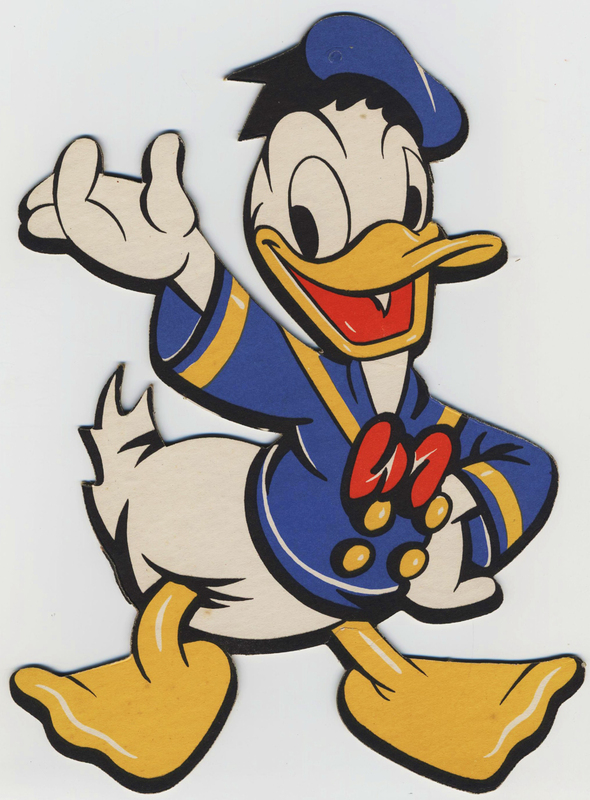 A Dopey mask used as a promotional item by Foremost Dairies of San Francisco. 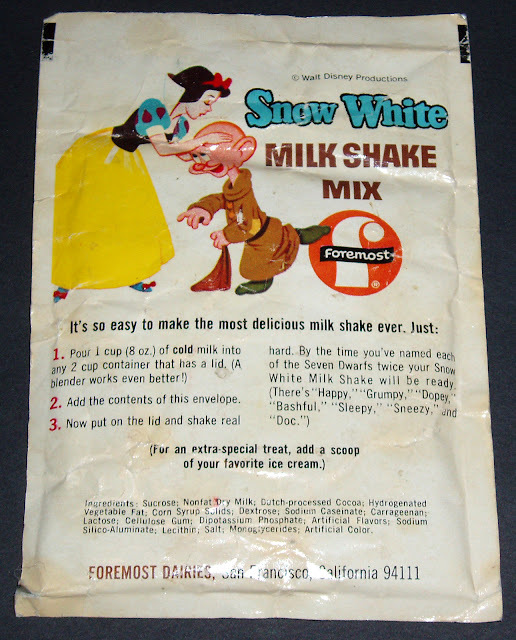 They would produce a series of Snow White powdered milk shake mixes (see previous post) to coincide with the theatrical re-release of the film in 1967. 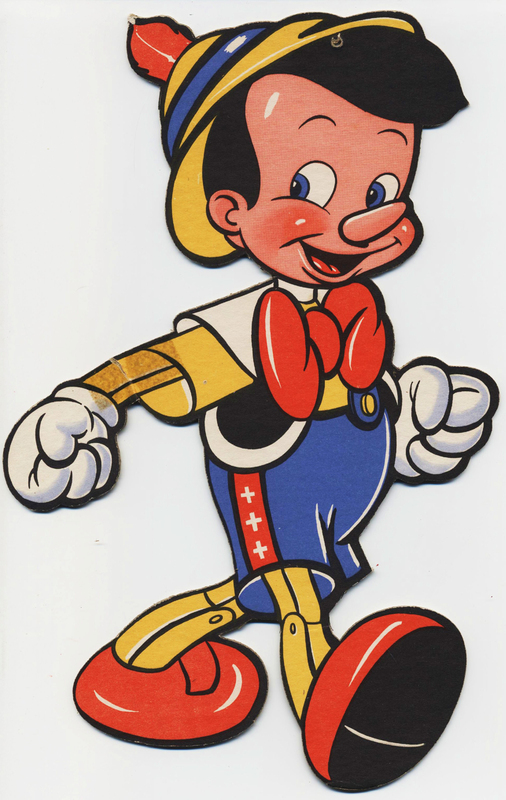 Mask measures 14" tall. Printed on reverse side: "Be sure to try all of the delicious flavors of Snow White Milk Shake Mix." 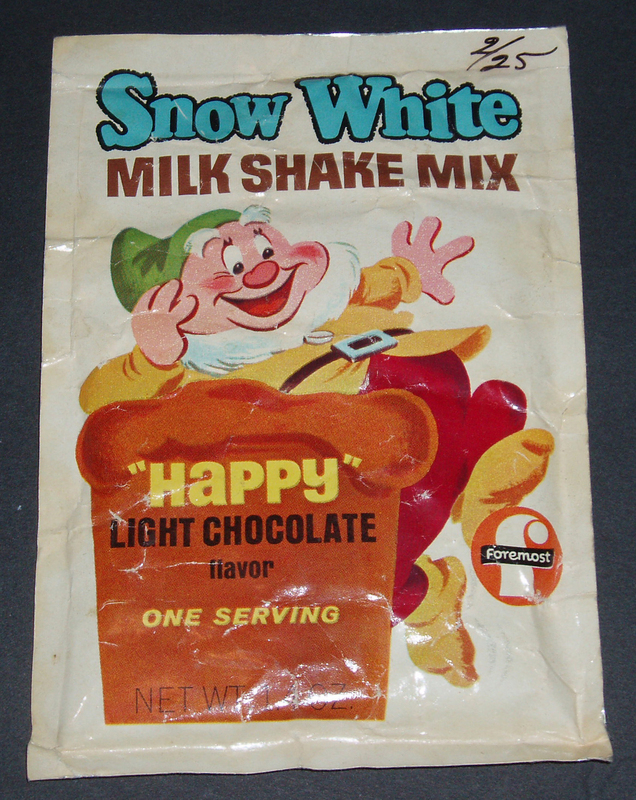 Foremost Milk Shake Mix with "Happy"
A Snow White Milk Shake Mix from Foremost Dairies of San Francisco, dates from the 1967 re-release of Snow White to US theaters. 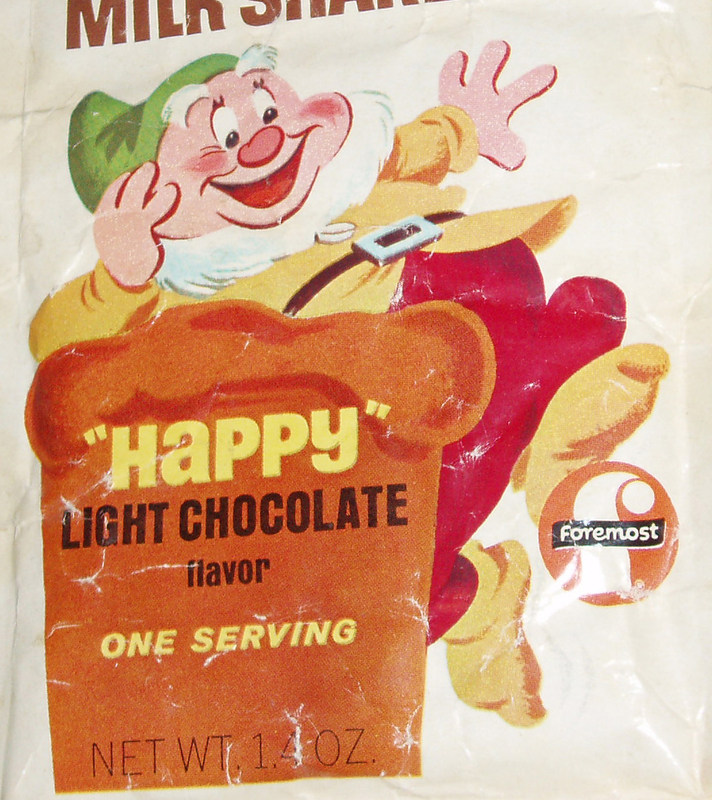 Features an illustration of a dancing Happy on the front package. Light chocolate flavor. 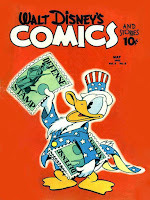 Net weight 1.4 ounces. 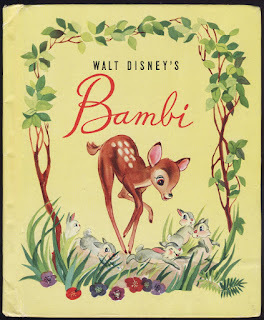 The Snow White illustration and lettering found on the back of the package can be seen in the various 1967 theatrical posters (e.g. 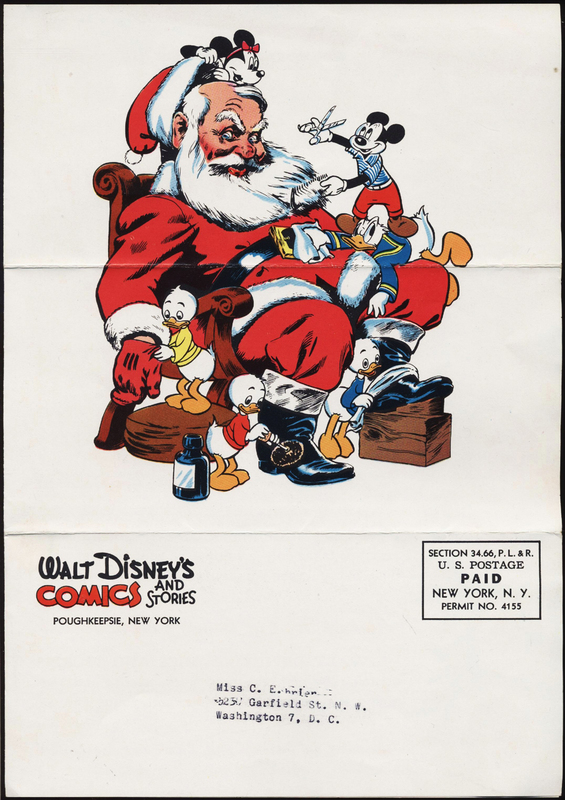 window card). 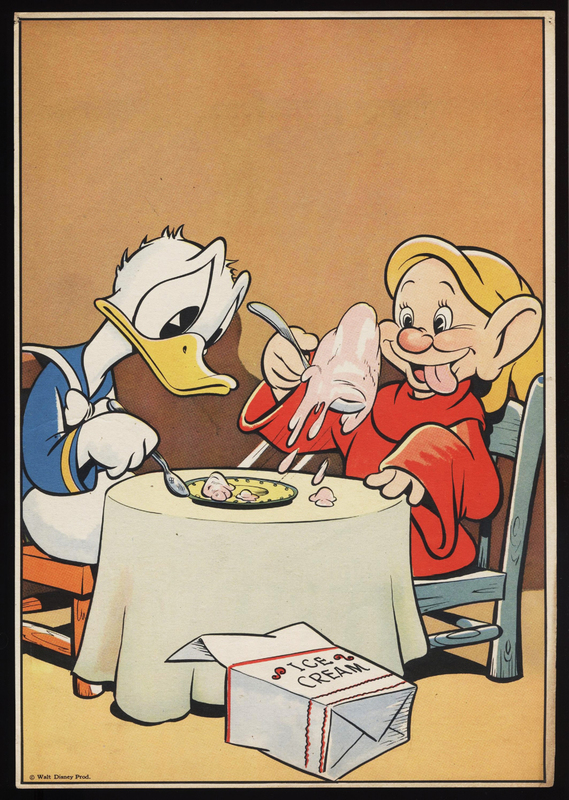 Ads for the milk shake would have appeared in the Sunday comics section of newspapers at the time. 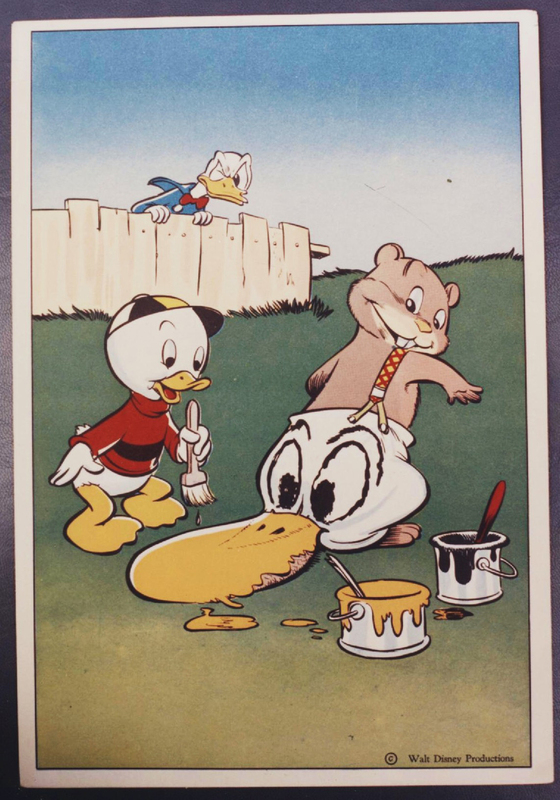 See a Dopey promotional mask from Foremost Dairies in the next Archive entry. 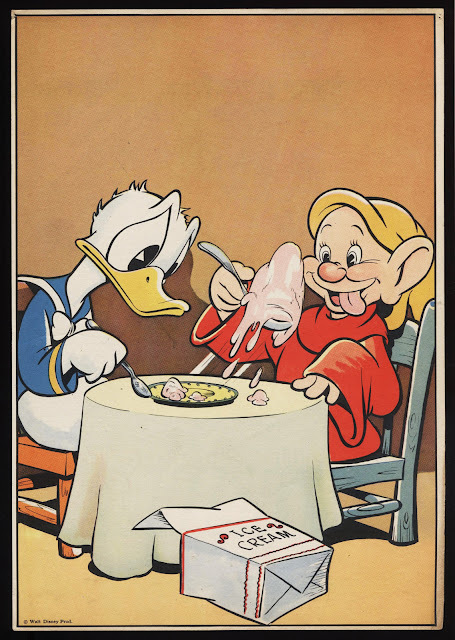 Special thanks to Dan Goodsell for supplying the images and additional info for this post. Visit his Tick Tock Toys Archive and see vintage ads on his flickr photostream. 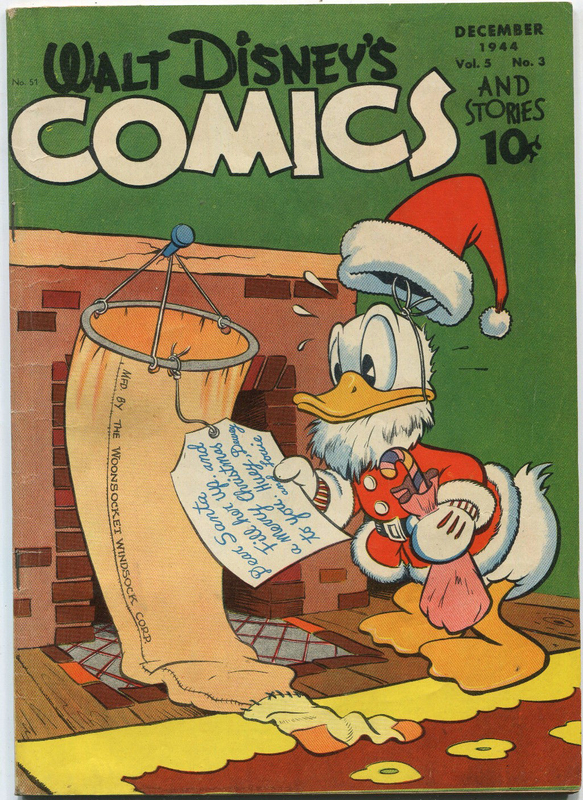 Guest contributor and long-time collector Rick Payne brings us some holiday cheer with his fascinating article on the evolution of the Subscriber Premiums associated with Walt Disney's Comics and Stories. 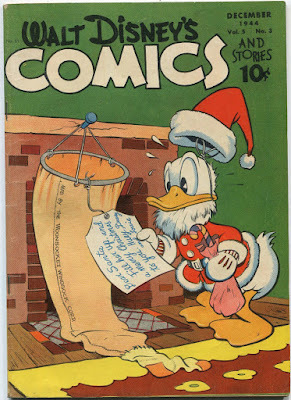 Walt Disney's Comics and Stories was launched as a 64-page monthly comic book with the October 1940 issue. 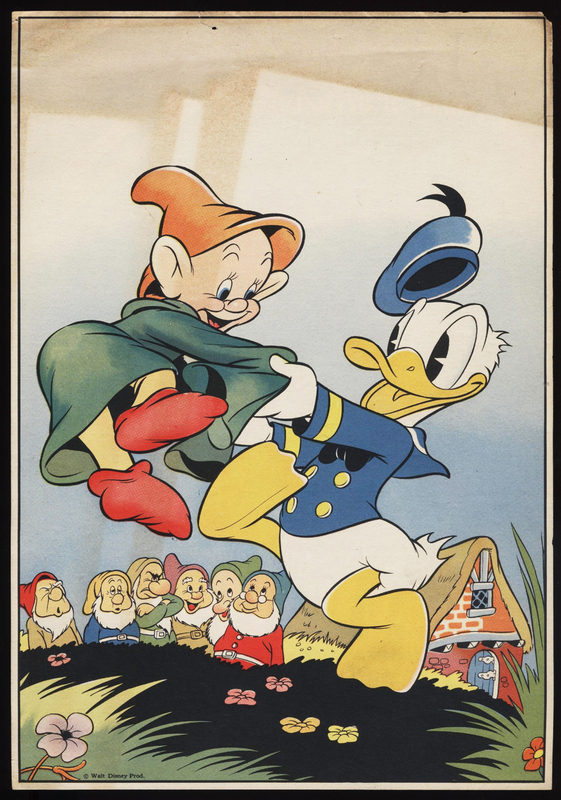 The Disney reputation for wholesome entertainment and the quality of original stories and art by Carl Barks and others eventually made WDC&S the biggest selling comic book of all time. 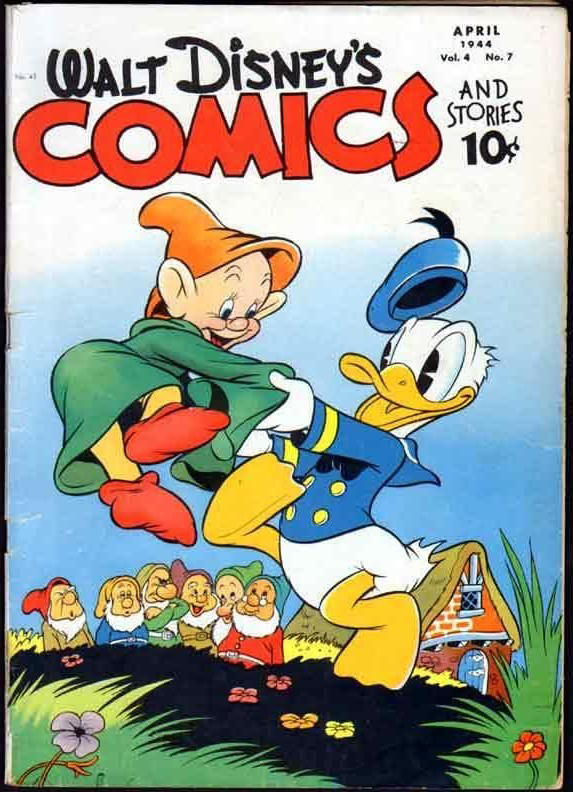 Sales of WDC&S peaked in 1953--at three million copies a month! 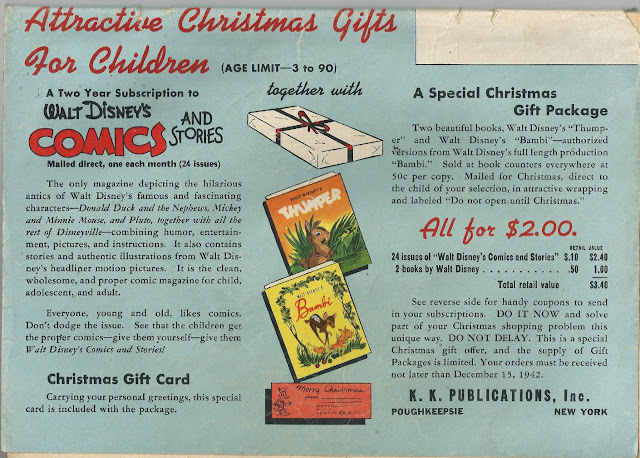 From the beginning, Disney and Dell Publishing Company focused on building circulation through discounted subscriptions. Twelve monthly issues would be mailed directly to subscribers for $1.00, 20¢ less than the newsstand price. 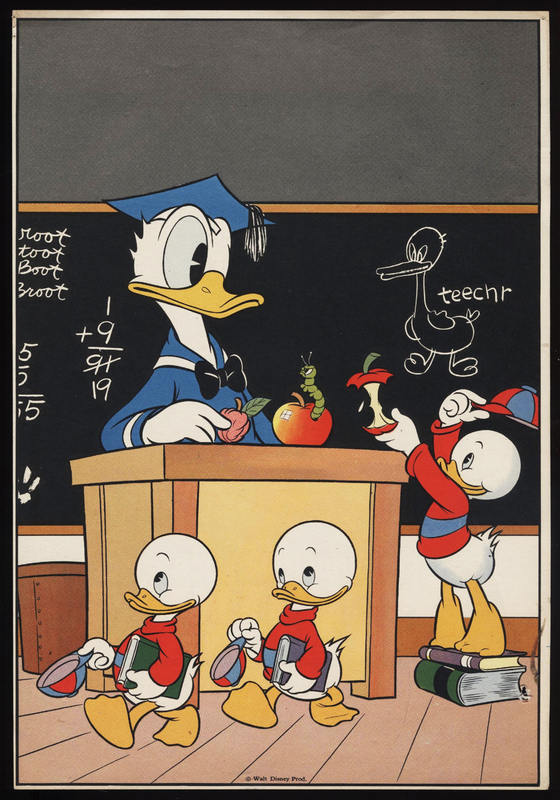 By bypassing the middle man, Dell could afford to pay the postage cost and still make more profit. 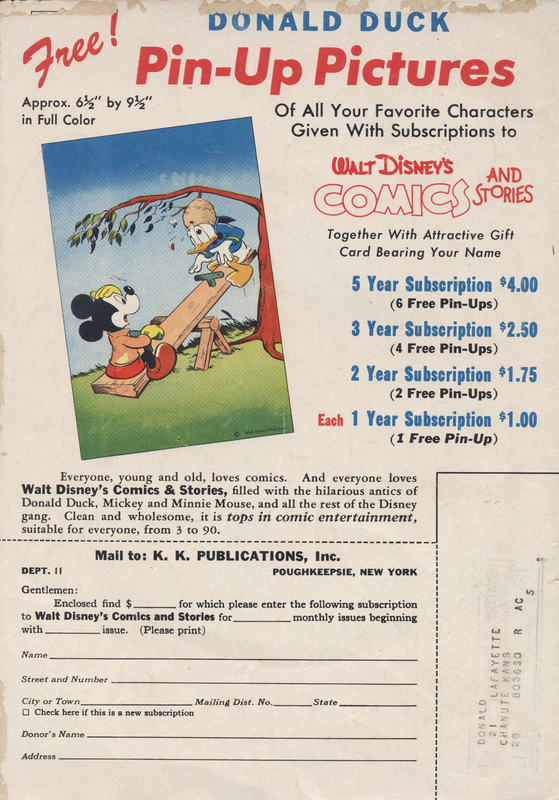 As a result, the back covers of most WDC&S issues were dedicated to subscription pitches for one-year, two-year, three-year...even five-year terms. For gift subscriptions, Dell would mail a colorful notice to the recipient identifying the donor. 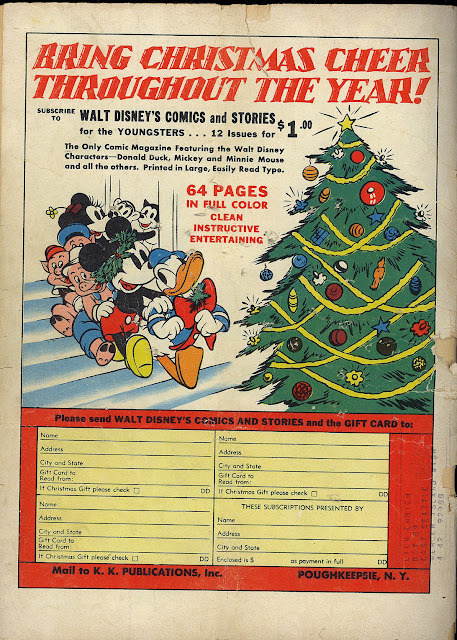 Back cover ad from WDC&S #15 (December 1941). As the 1942 holiday season approached, Dell increased the incentive by offering special premium gifts for the first time. The back cover of WDC&S #27 (December 1942) offered two free Grosset & Dunlap books based on Disney's latest film "BAMBI" for two-year subscriptions. 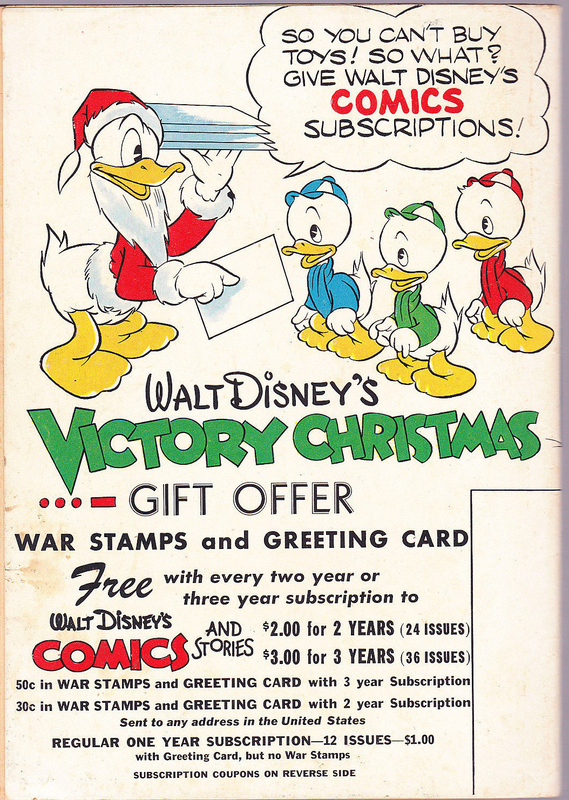 For 1943, the holiday subscription drive featured "Walt Disney's Victory Christmas Gift Offer"--a special "War Stamps and Greeting Card". War Stamps offered every citizen a chance to contribute to the war effort for as little as ten cents, and children were no exception. In fact, the cover of WDC&S #20 (May 1942) had pictured Donald Duck doing his patriotic duty by pitching the stamps. 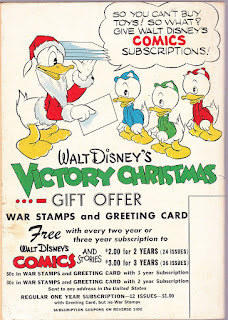 The holiday subscription offer featured in WDC&S #39 (December 1943) involved sending a special gift card to the recipient--with 30¢ in War Stamps attached for a two-year term or 50¢ in War Stamps for a three-year term. 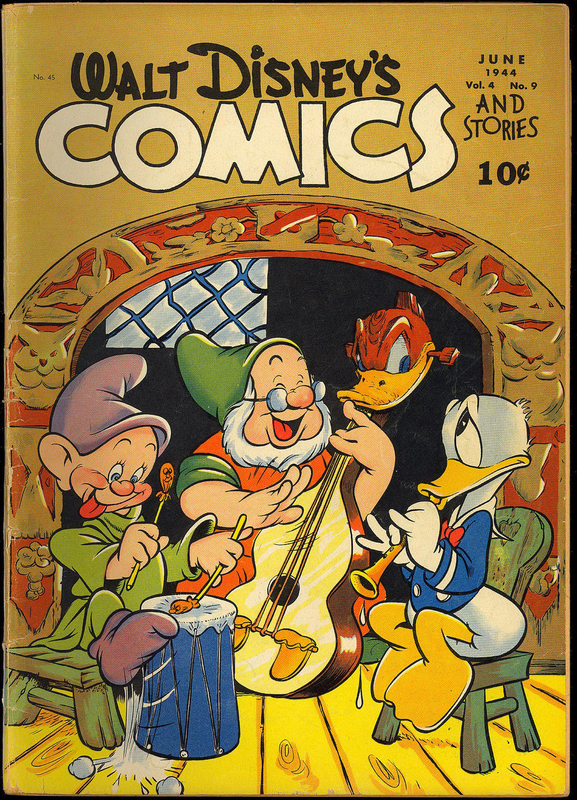 Characters from Snow White appeared for the first time on the covers of Walt Disney's Comics & Stories issues in 1944. WDC&S #43 (April) featured Dopey dancing joyously with Donald Duck as the other Dwarfs watched; #45 (June) pictured Dopey, Doc and Donald in a jam session; and #47 (August) paired Dopey with Donald. 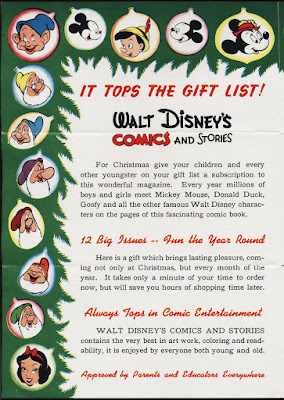 These appearances make Dell's 1944 subscription offer of particular interest to Snow White fans. 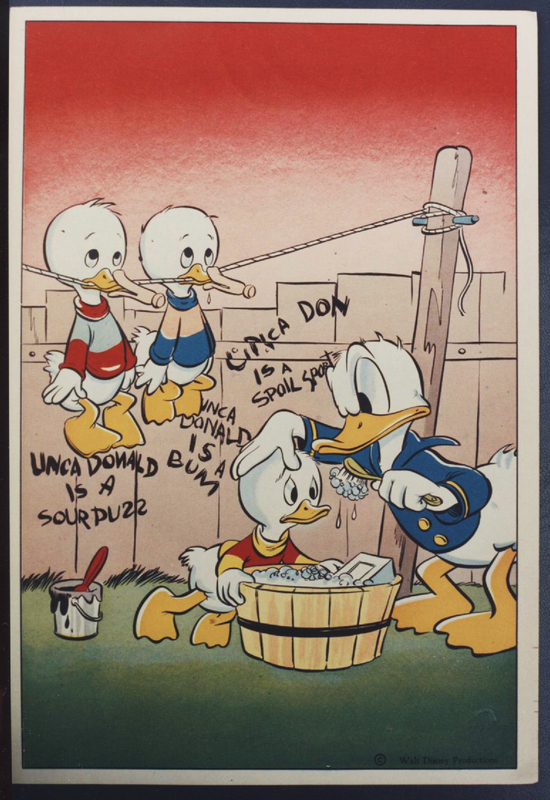 In an inspired choice, the back of WDC&S #51 (December ) announced that subscribers could receive up to three "Donald Duck Pin-Up Pictures" based on term. 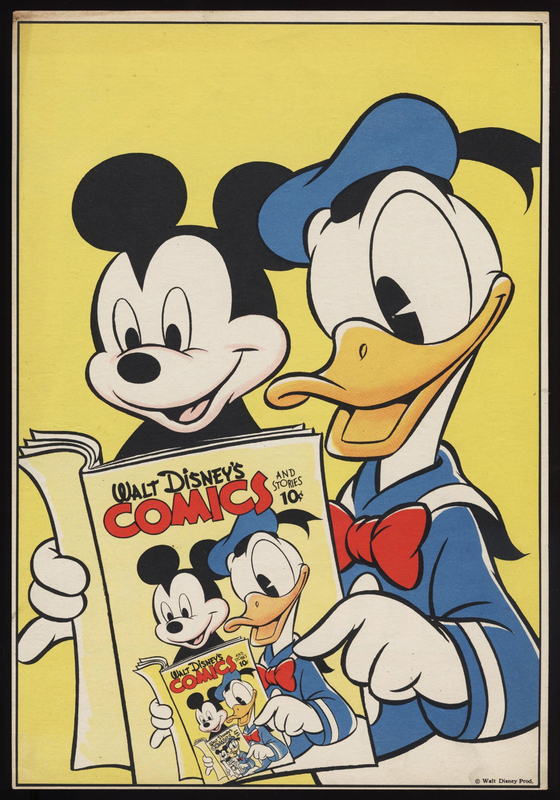 These 7.5" x 10.25" paper prints reproduced the cover art for WDC&S issues without their logos and issue dates. 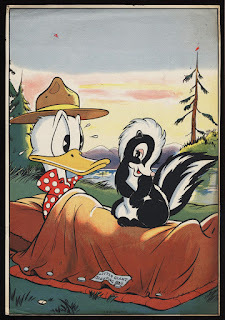 The ad pictured the Pin-Up based on #43. 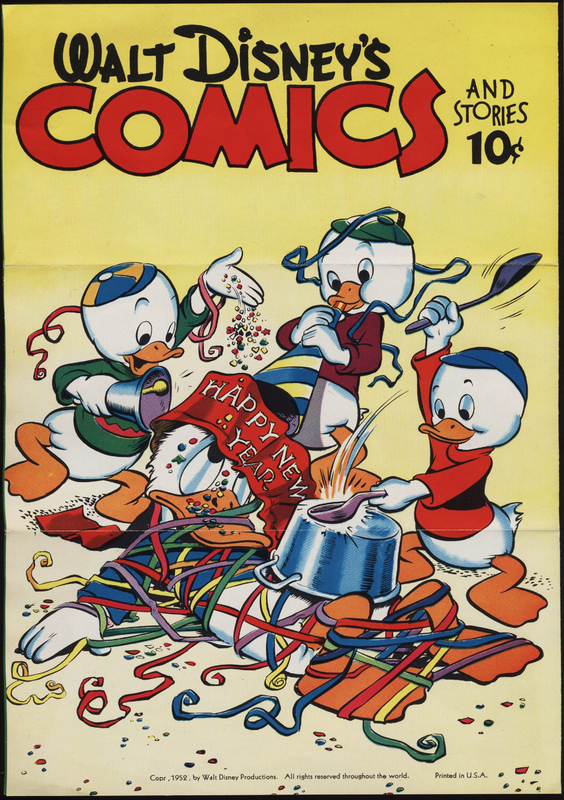 #24 (9/42), #25 (10/42), #29 (2/43), #30 (3/43). 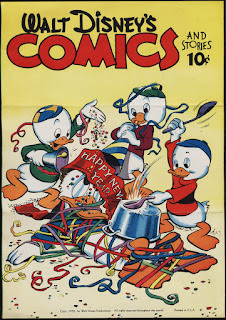 #33 (6/43), #41 (2/44), #48 (9/44). 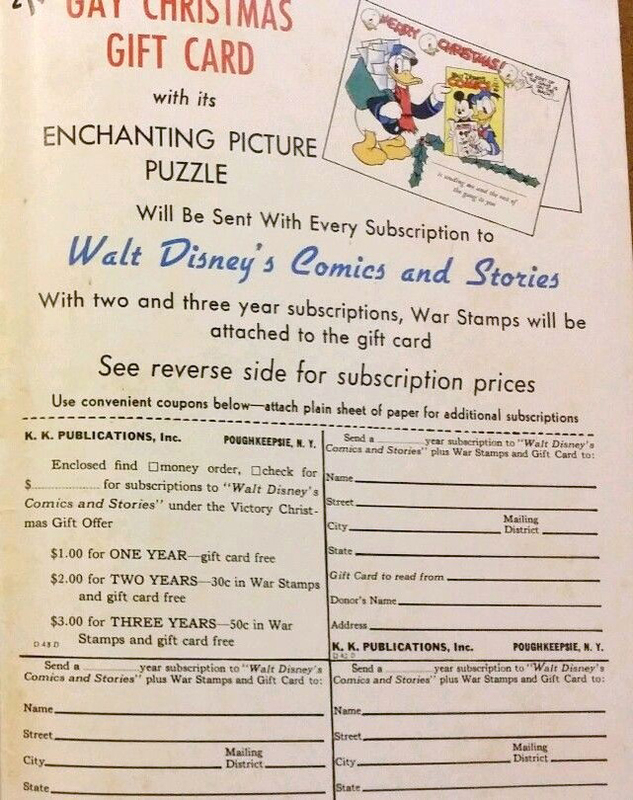 This WDC&S subscriber notice dates from the mid-1940s. Features Dopey hitching a ride on Santa's sleigh with Mickey and the boys. 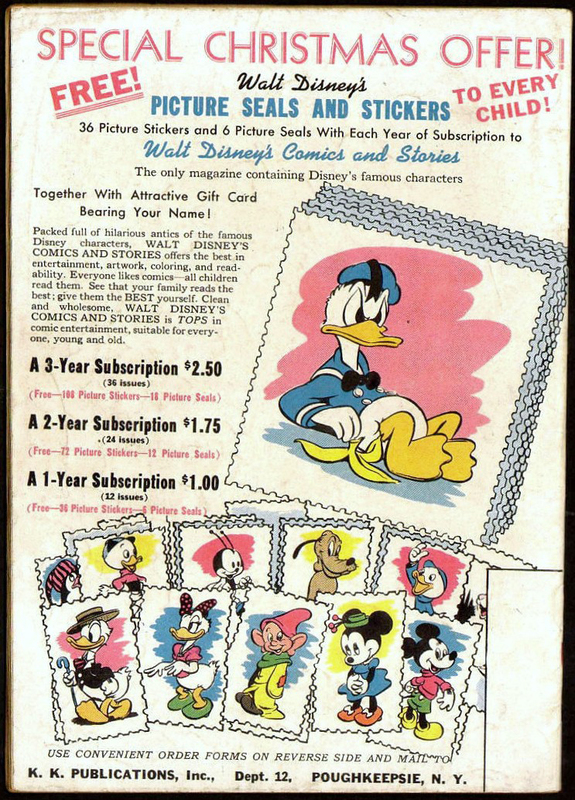 For 1945, the subscription gift was "Walt Disney's Picture Seals and Stickers". Presented on the back cover of WDC&S #63 (December 1945), the full set consisted of 36 stickers and 6 seals; multi-year subscribers received an extra set for each year. 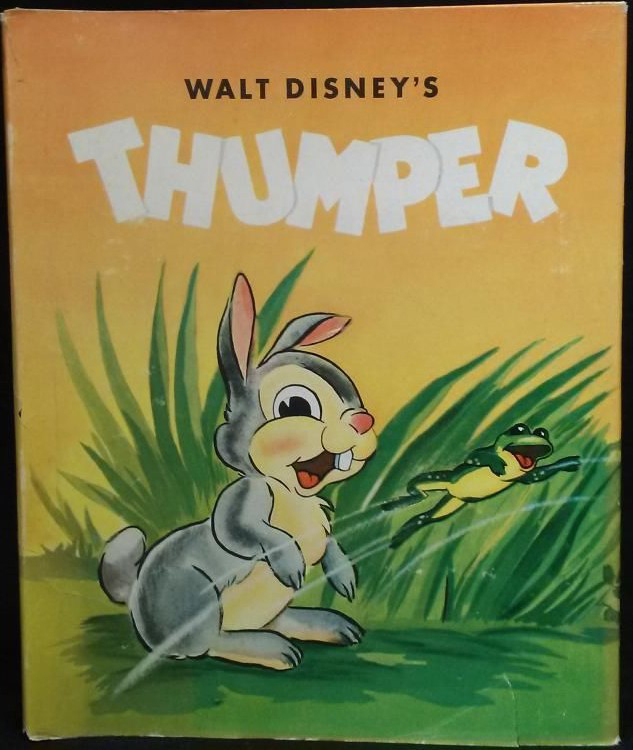 Unfortunately, the ad doesn't show every sticker and seal. However, we do know that one of the stickers is of Dopey. 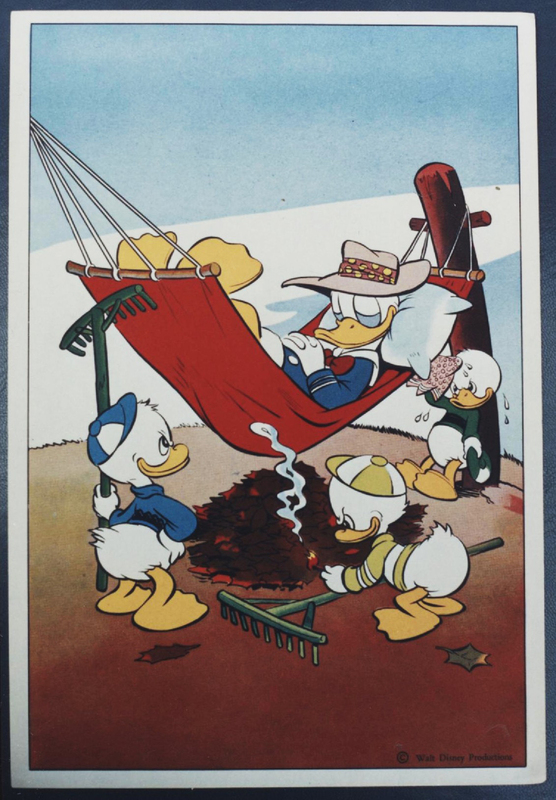 This is the toughest set to find today and unfortunately I haven't found one yet! 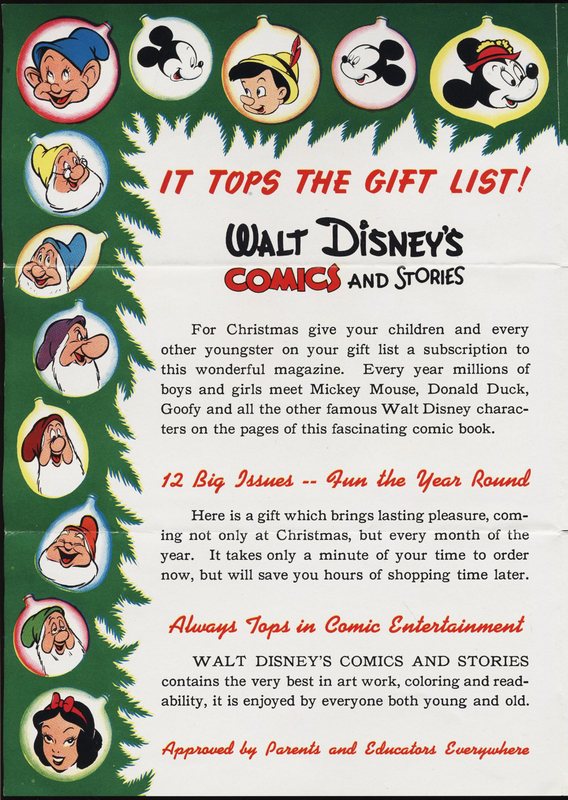 The "Big 1946 Christmas Gift Offer" announced on the back cover of WDC&S #75 (December) did not feature any Snow White characters. "Walt Disney Toy Figures" of Mickey Mouse, Pinocchio, Goofy, Pluto and Donald Duck were die-cut full color images. 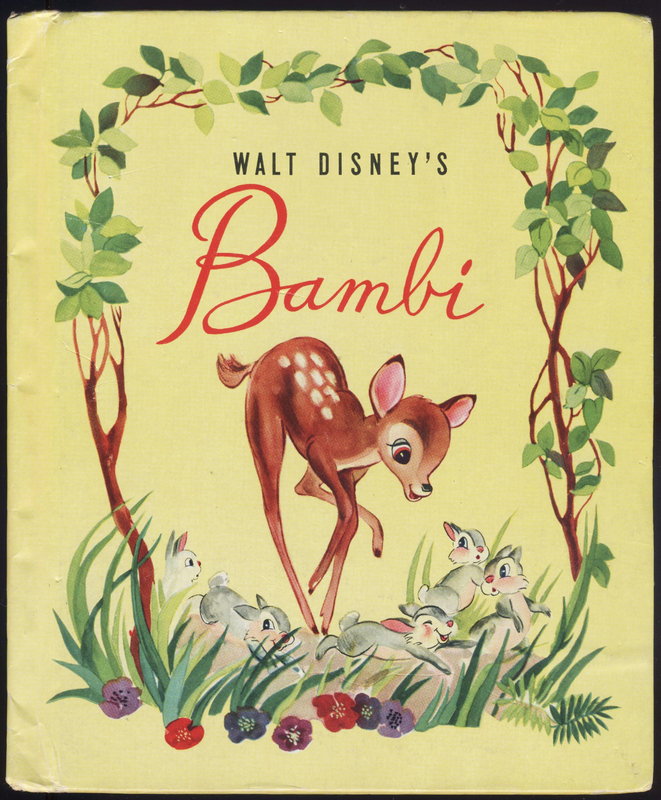 A similar set was sold in stores as "Walt Disney Fuzzy Wall Plaques". 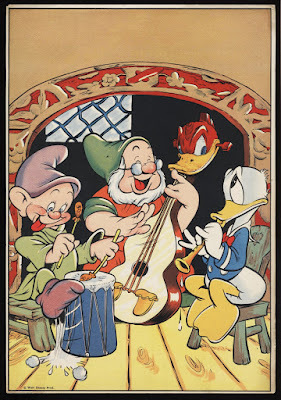 See the Snow White set in a future post. 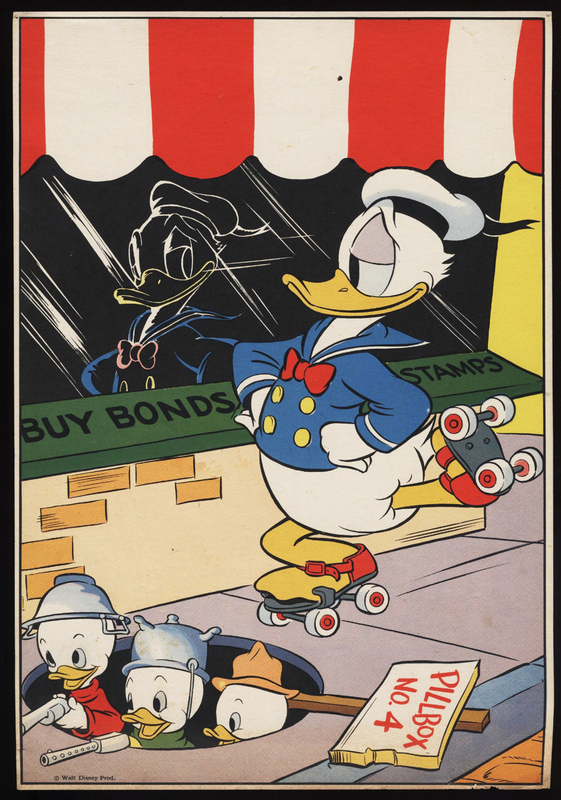 For 1947, Dell took another crack at "Donald Duck Pin-Up Pictures". 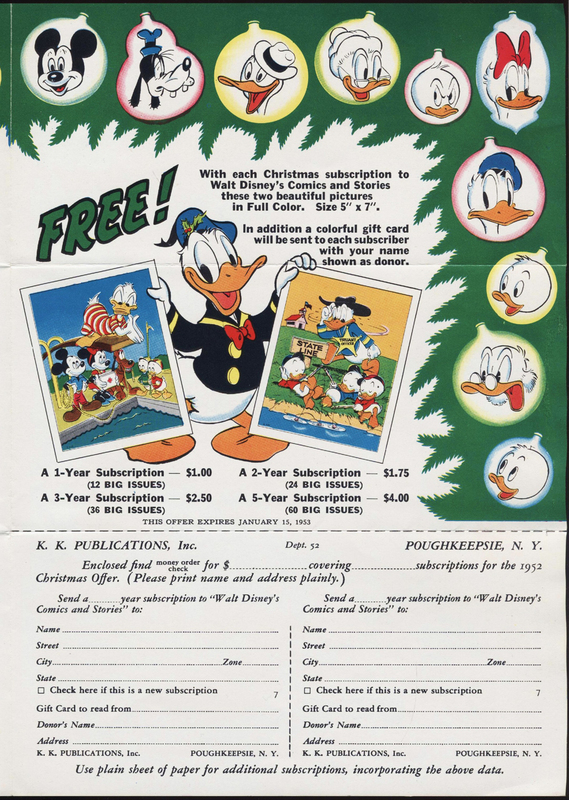 The back of WDC&S #86 (November) states that six different pictures will be given with each five-year subscription, and lesser quantities for shorter terms. 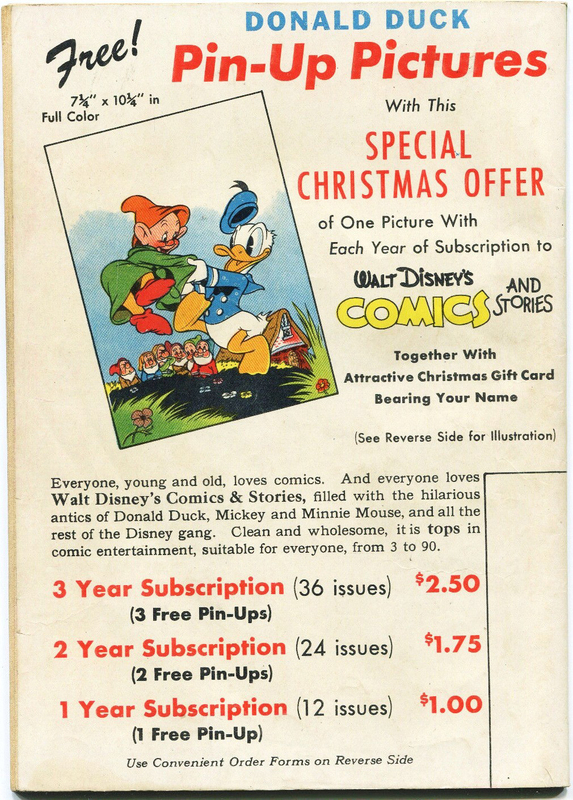 The Pin-Up shown in the ad is a reversed image of the cover of WDC&S #75 (December 1946). 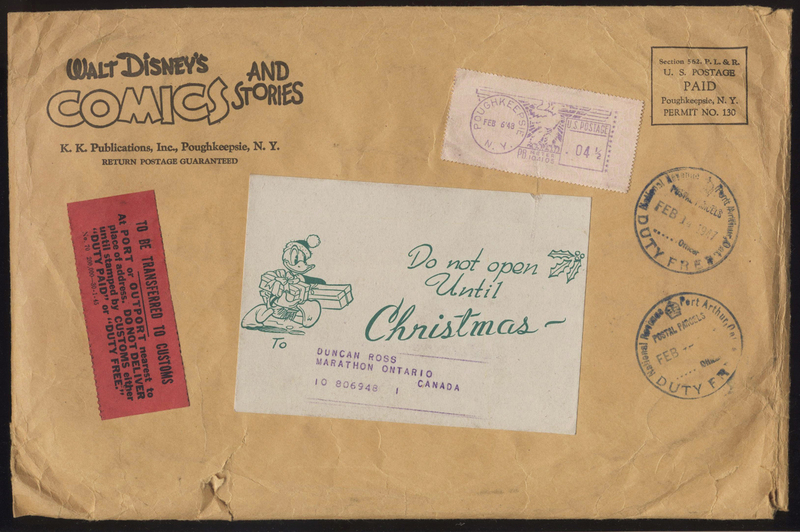 Here are five of those Pin-Ups and the mailing envelope. 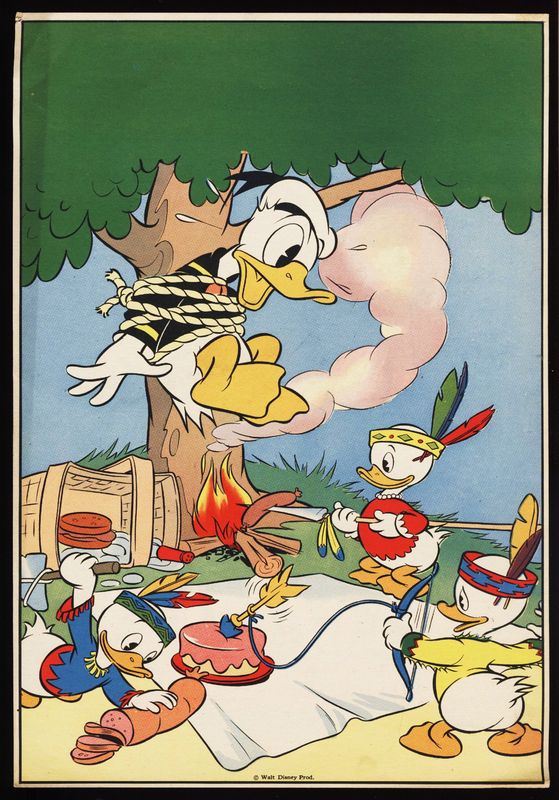 1948's premium was a real treat. 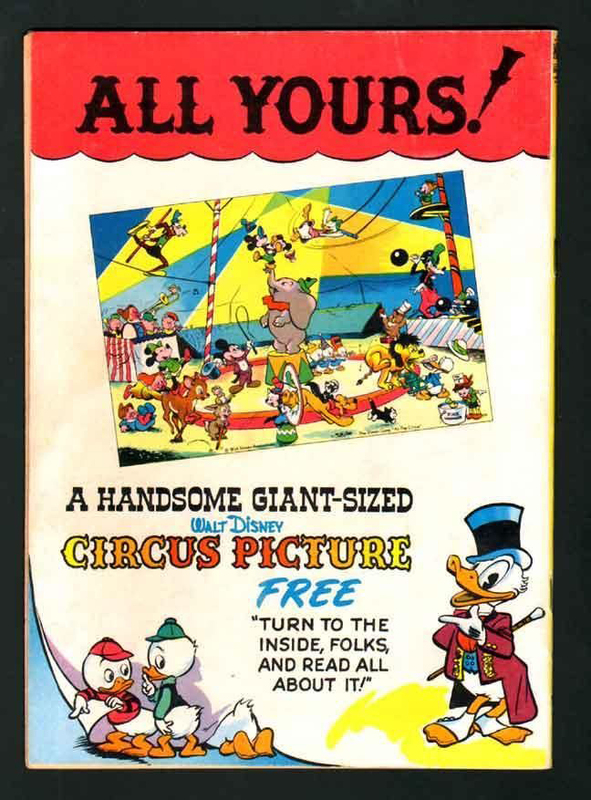 Every subscriber received a special picture titled "The Disney Gang At The Circus". 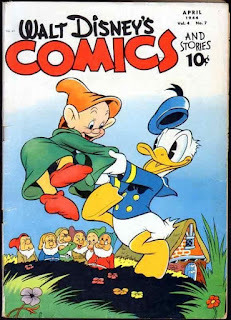 The artist was the great WALT KELLY, a long-time Disney and Dell artist who would become famous as the creator of POGO. 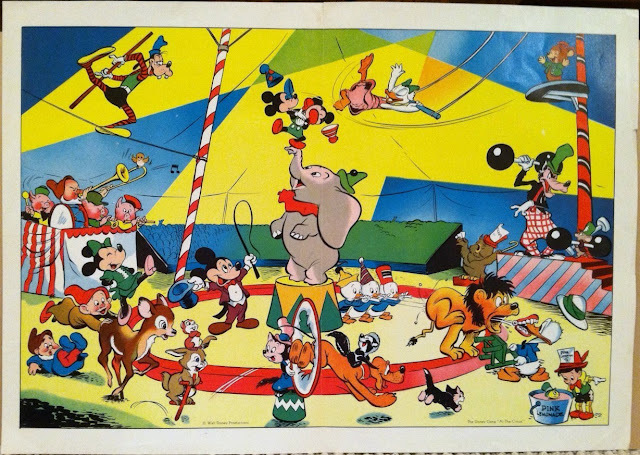 Look closely and you'll find three Dwarfs outside the center ring. 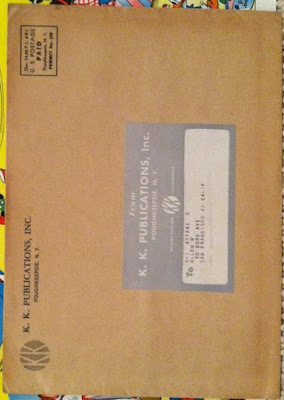 K. K. Publications mailing envelope pictured below, plus the print advertisement on the back cover of WDC&S #99 (December 1948). Before closing, let's take a look at a direct mail 4-page subscription flyer. 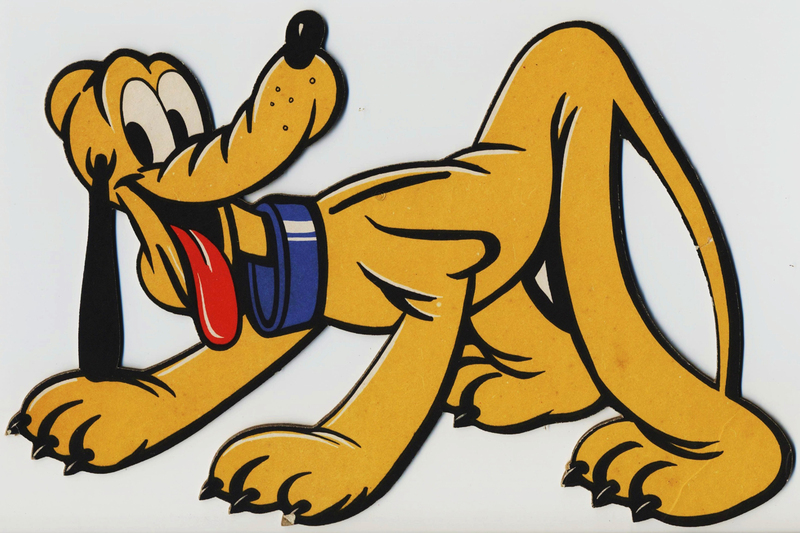 This style was first used in 1947. 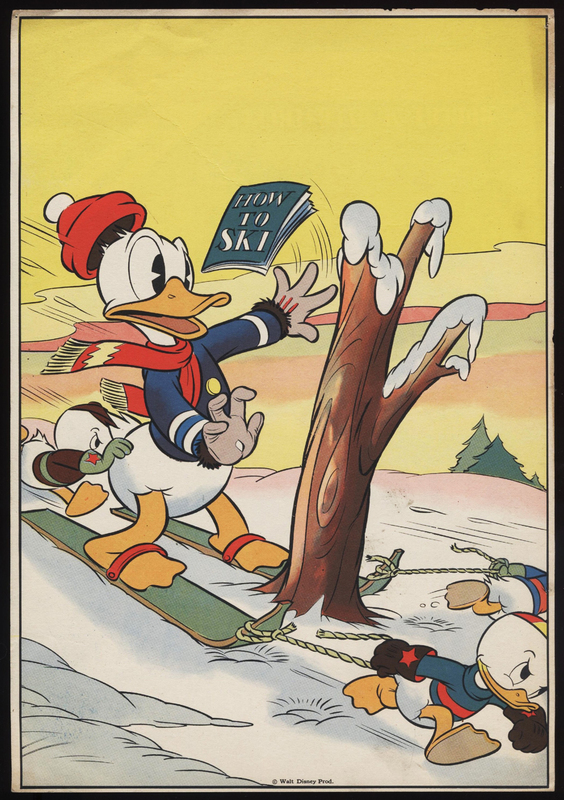 Here we see the 1952 version with an attractive reprint of a recent WDC&S cover in full size. 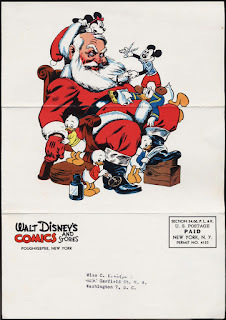 A manicured Santa is pictured on the back. 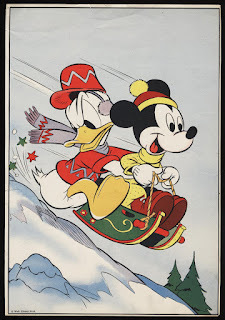 The 1952 gift was two different prints of Mickey and Donald, but the inside of the brochure, it decorated with images of other characters including Snow White and all Seven Dwarfs. The WDC&S subscription premiums, notices and direct mail flyers are all quite scarce and eagerly sought by Disneyana and comic book collectors. 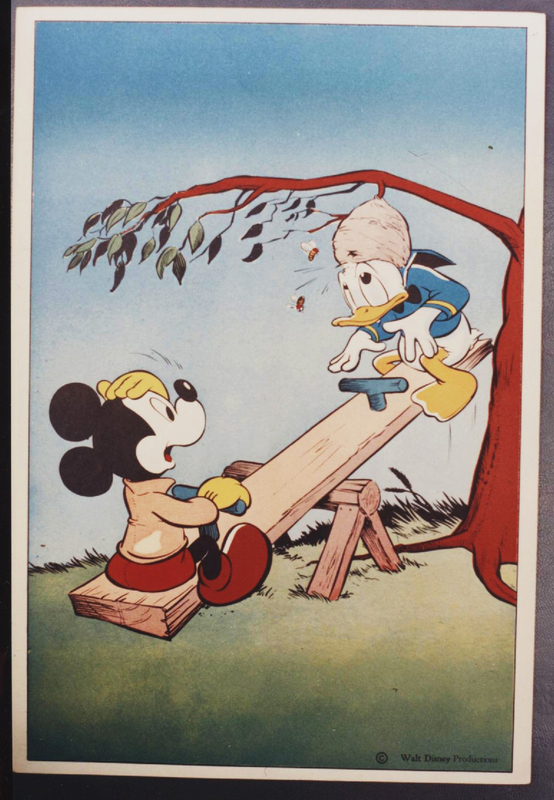 Each piece reflects the Disney and Dell dedication to quality; they demonstrate how serious the companies were about preserving and building the Disney brand. 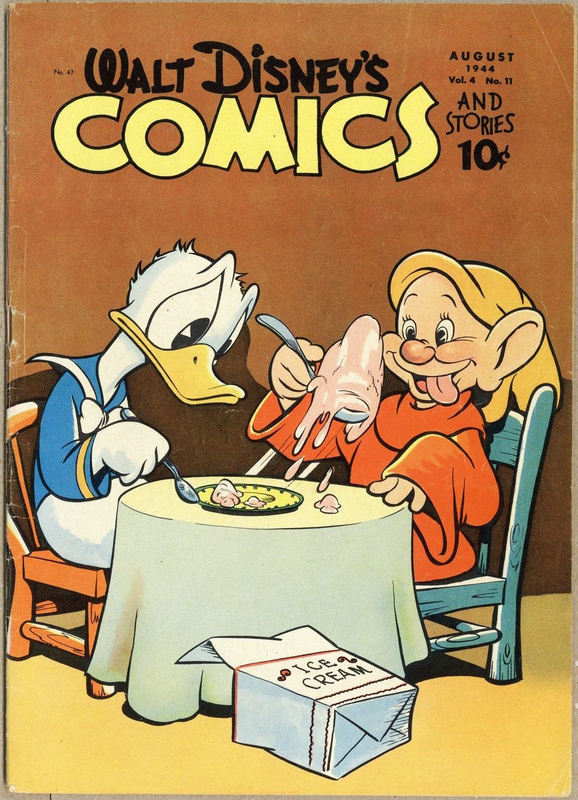 It comes as no surprise that during the mid-1950s, Dell comics accounted for more than half of all comic books sold in America. 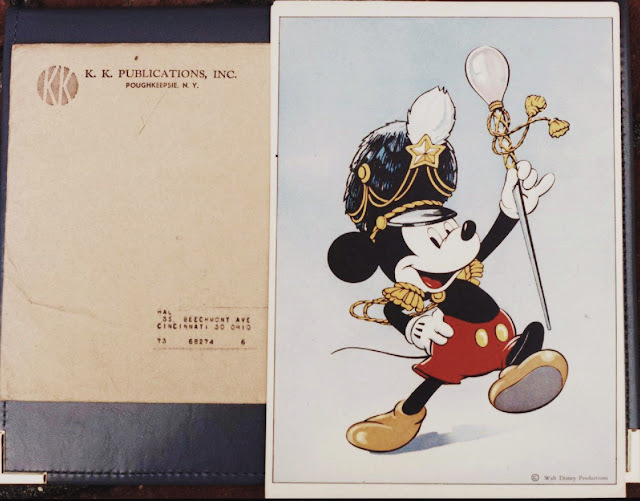 Special thanks to Rick Payne of dadric's attic for sharing this detailed article and images from his collection.